The bar is three things. It’s hard. It’s either ice cold or sticky hot. It’s unforgiving. 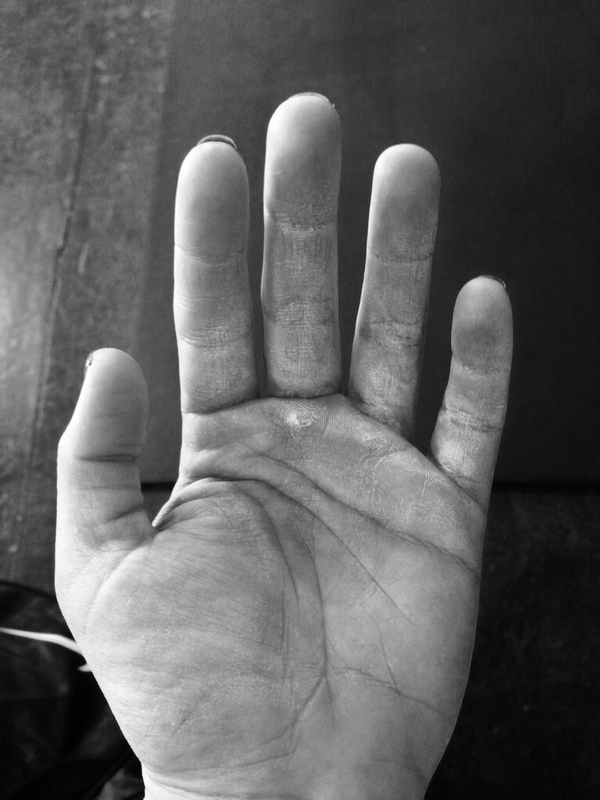 I crave my barbell in a way that I’ve never craved another finite object before.The way the smooth worn steel feels against both the soft and calloused parts of my hands; the grooves of the rings, dusty with chalk. Another blogger once beautifully wrote ” The devil walks into the gym with me, but he never walks out.” (The Devil Inside) This is one of those statements that pierces straight through my core, right into “the feels” and settles there. Because it’s so true. Often, we are plagued by self doubt, fear, and tormented opinions of ourselves and for many (myself included) this plays out like a hateful anthem. One that the devil will sing until at some point during your work out, you bury it. And a phoenix of a new anthem springs up, and carries you breathless and exhausted, into a better place. A higher place. A place where you are untouchable and blissfully free. Every addict has their rituals, and I have mine. I walk over to the chalk bucket, grab a solid piece, and draw my war paint down the calloused row on my palms, one after another. I rub my hands together, and let the chalk dust settle into the lines and collect on the ridges of my skin. I study my hands for a moment, and consider the bright red and irritated skin I see to mean that I am thriving, healthy, and alert. I am proud of what these hands have evolved into, and what they can pick up. This is when I’m most ready, when my senses are most heightened, and just before I hear the celebratory 3,2,1… I slap my hands on my thighs and fill my lungs with fuel. I love my barbell and how it violently kisses my collar when I clean it up to me. I like the marks it leaves the next day, where it’s met my skin, and repeatedly proven that it’s the three things mentioned above. It’s a reminder that for a time, I did something that made me feel worth it, alive, and capable of great feats. And I can do it again tomorrow. And that thought excites me. I love these battle scars, and I smile when I catch a glimpse of them in the mirror. I love the way my barbell sounds when I drop it to the ground, from a high hang, fully loaded after dead lifting over 1.5 times my body weight. It hits the floor with a loud triumphant thud, and the metal collars rattle their applause. The lightheaded whir that follows shortly after a heavy dead lift is a buzz that never stales. 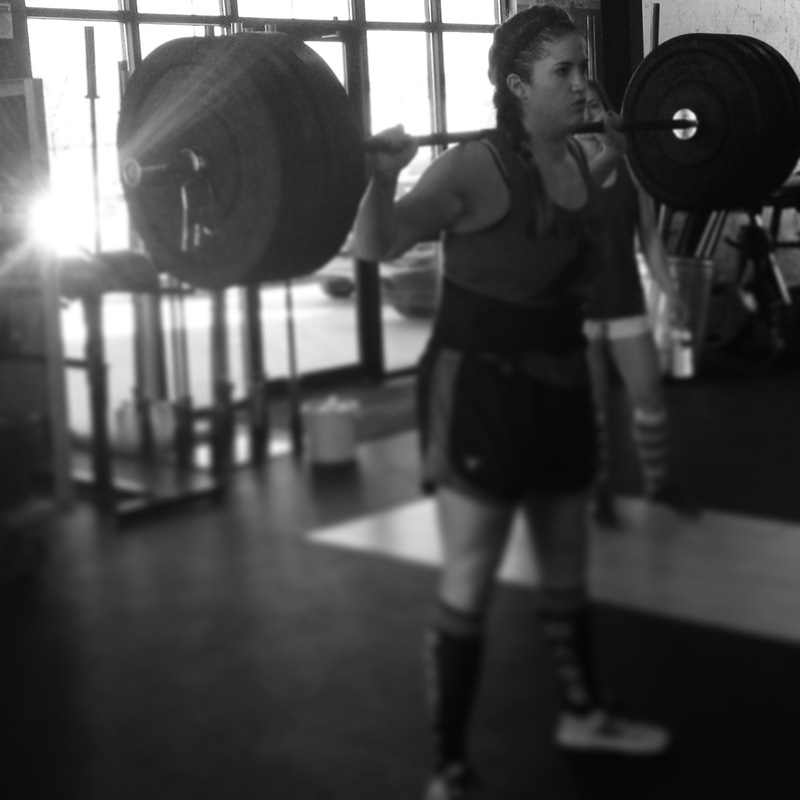 I’m learning to love the way the barbell feels nestled on my traps, waiting to be back squatted. Perched up here it demands respect, the weight of its grandeur literally on my shoulders and waiting to be lowered. In this position, discomfort is nearly instant, and can overwhelm your core and trunk in mere seconds. Respect the bar on your back and it will shape you into something beautiful. I love the way the bar feels rooted in a front rack position. My fingers bloom open to hold it into my chest and my elbows bellow at the heavens. This is where I am able to puppeteer; I can squat it or take it overhead, each move carrying its own burden on my limbs and my pain receptors. This is where you are most likely to hear me cry out; the guttural howl that escapes from an athlete wielding heavy weight out in front of them is deafening. It’s the announcement of victory, and it’s the final bit of energy that helps you get out of the bottom and stand the weight up. 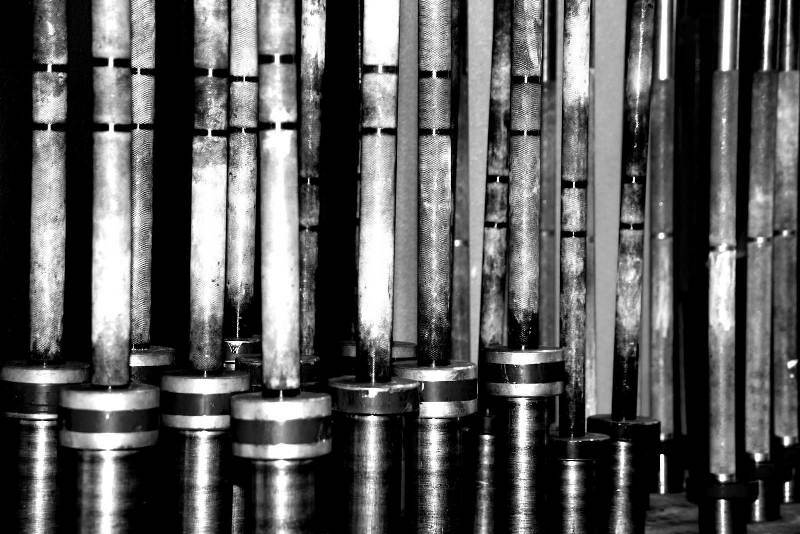 This is my wheelhouse, where my love affair with the barbell lives, where I live. My hours spent inside this world are as visceral as they come, but I don’t keep returning here for the reason, or the logic. I come back because it’s the loom that weaves my fibers into the beautiful tapestry I’m becoming. I come back because it’s the fountain that feeds me. I come back because I will never get enough. I love the way my barbell sounds when it’s shed its weight, and I carry it back to its holster to rest. The clank of the metal is like a gong, signaling the cease fire. The devil is gone, my mind is clear, and my heart has exploded and is transformed.